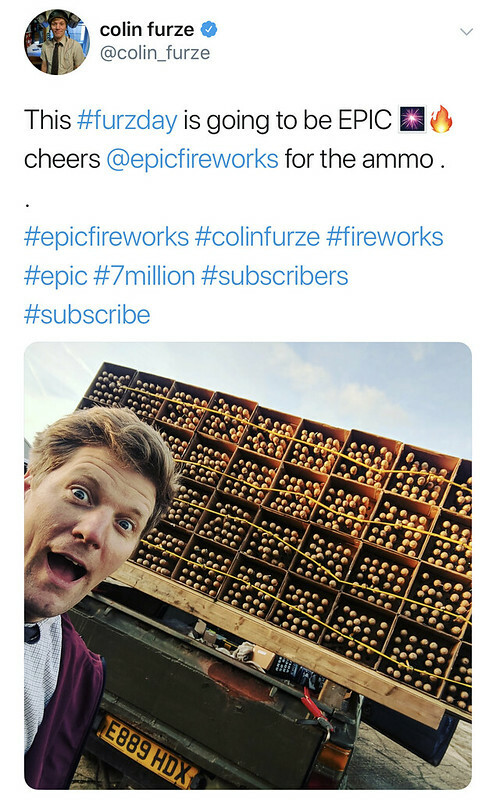 Over the last few years, we here at Epic have been secretly developing a new style of firework……Rocket Volleys. The Thunderous rocket volley fires 25 large rockets from one single fuse, exploding into large bursts of iridescent purple and emerald-green dahlias followed by a huge golden cloud of crackling glitter. The Pro Rocket volley again launches 25 rockets high into the sky then multiple bursts break into massive silver crackling palms to really wow the crowd. The Skudbuster rocket volley. This one has “more colour” with vivid red and vibrant green bursts, these more powerful rockets break more ferociously, bringing a few seconds of daylight to the cold November skies. The well named Awesome rocket volley. Simply awesome. Light one single fuse and 25 large rockets soar upwards, illuminating the night sky, creating a canopy of super bright bursts of varying colours depending on which item you select and you’re guaranteed to finish off your show in Epic style. In fairness to all concerned the hugely popular volleys will still be offered on a first come first served basis, but we are happy for customers to place their orders now which we can hold until required for Weddings and Bonfire Night and any other celebration to guarantee you are one of the lucky few hundred in the UK to experience these boxes, which we expect to grow in popularity year after year as more and more people experience the spectacular and unique rocket volleys. Due to the popularity of the Pro and Thunderous rocket volleys launched in 2008, we thought it was about time to extend the range and double it to four. New for 2012 we are adding the new Skudbuster and Awesome rocket volleys. Rocket volleys are designed to create emphasis to the start or finale to any larger show and already the two new additions are proving very popular, with an off the scale wow factor the relatively new rocket volleys have to be seen to believed, completely obliterating the night sky. The Thunderous rocket volley fires 25 large rockets from one single fuse, exploding into large bursts of iridescent purple and emerald green dahlias followed by a huge golden cloud of crackling glitter. For the new Skudbuster we told our China factory “more colour” with vivid red and vibrant green bursts, these more powerful rockets break more ferociously, bringing a few seconds of daylight to the cold November skies. The well-named Awesome rocket volley creates a sky full of huge golden palms, golden glitter ending with beautiful falling leaves. A breathtaking display. 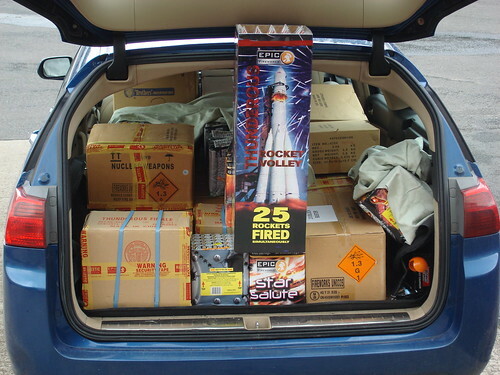 As always our fireworks are sold on a “first come first served basis” so if you are looking to add one or two of these excellent Rocket Volleys to your show, may I suggest you order them now to avoid disappointment.